One in five missing pets are reunited with their owners via traditional methods – tags, fliers, shelter reports or knocking on doors. Just over 50% of dogs that are missing and are microchipped go home, because their owners got them chipped and kept their information current. 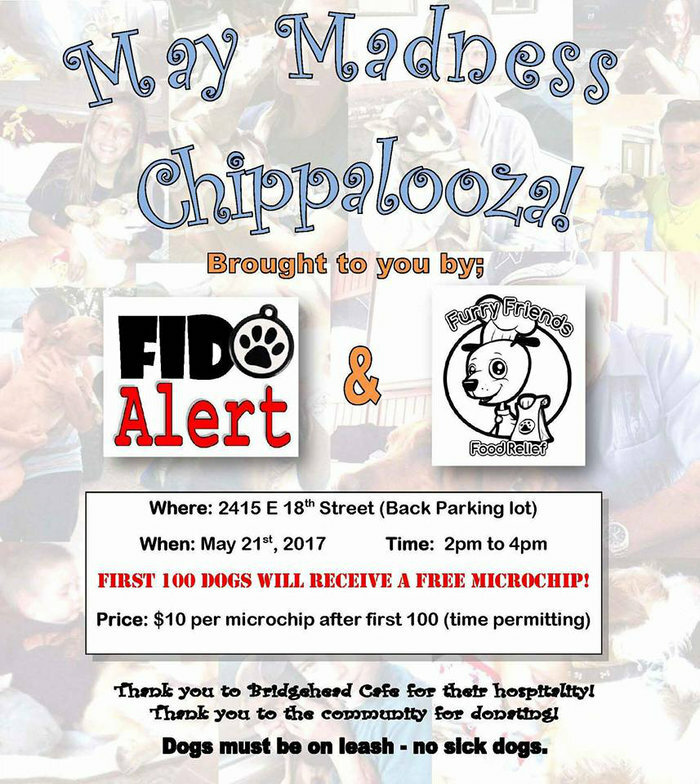 We think it’s hip to chip and are offering the first 100 dogs to our May Madness Chippalooza a free microchip – thanks to your donations. It will be $10 for a chip thereafter. Only requirements are that they don’t have an existing microchip and are healthy. So, be hip, come get a chip for your furry friend at Bridgehead Cafe, 2415 East 18th on , Antioch. May 21st at 2pm, ends 4pm. Please be prepared for the hot weather. This entry was posted on Friday, May 19th, 2017 at 3:59 pm and is filed under Community, Pets & Animals. You can follow any responses to this entry through the RSS 2.0 feed. You can leave a response, or trackback from your own site.